Women today more frequently consider alternative family options, such as single motherhood by choice and lesbian couples having children. I am asked about the pros and cons of choosing an Anonymous Sperm Donor from a Sperm Bank versus a Known Sperm Donor. Known sperm donors are considered Directed Sperm Donors, and may be genetically unrelated to the woman who desires to conceive, for example a friend, or may be genetically related to the woman’s partner, in the case of a lesbian relationship. One of the most obvious potential benefits of using known Sperm Donors is a lower cost of obtaining sperm (sperm vials average up to $500 per vial, and you may need more than one vial per month). Fertility treatments may become expensive, depending on the specific type and length of treatment. If you are using a Known Sperm Donor, and you start with a home insemination, the process will be inexpensive, assuming that you are not paying for the sperm. Overall, success rates are low, 5% - 12% per month, depending on sperm quality and quantity, timing and technique of home insemination, and the age of the woman attempting to conceive. With fertility treatments such as in-vitro fertilization, pregnancy rates can be as high as 65% per cycle. Another potential benefit of using known sperm donors is having a father figure for the resulting child. However, some anonymous sperm donors are willing to meet the child after he/she turns 18 years old. The Sperm Bank can provide you with this information. Additionally, if the sperm donor is genetically related to the female partner in a lesbian couple who will not be conceiving, the child will be genetically related to both partners. Additionally, you will know if your child has any siblings. 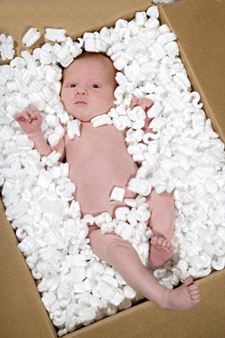 Many Sperm Banks also maintain lists of children born from each Donor for this purpose. However, incomplete reporting by women/couples conceiving, and the accuracy of documentation may limit these lists. Other important issues to consider when choosing the type of donor are screening, such as genetic, infectious and psychological. Even if you know the donor well, you may not fully appreciate his infectious risk potential, as some people are very private about their sexual habits. Your Donor may not know the true risk of his prior sexual partners for the same reason. Though you and your potential donor are both healthy, both of you may be a silent carrier of a genetic mutation (for example Cystic Fibrosis). In such a case, the offspring has 25% risk of developing the disease. Genetic evaluation (blood testing) can greatly reduce the chance of this. You could minimize these risks with professional evaluations of your risks and those of your potential Donor. People may have disparate views of parental rights and responsibilities, which at times may yield difficulties after the birth of a child. Each state has laws about the potential responsibilities and rights of a known sperm donor. These laws differ among states. If you decide to have a friend be the Sperm Donor, it would behoove you, your partner, the potential Donor and his partner, to carefully and openly discuss your vision of each of your roles in the resulting child’s life. If all agree, I strongly urge you to find an attorney very familiar with fertility laws, and draw a detailed contract of your collective intentions, understanding and accepted roles. For example, does the Sperm Donor have any financial responsibilities or parenting rights? Protecting the future family’s structure is prudent, as protracted and avoidable legal battles are unhealthy for the children who inadvertently are drawn to the center of a conflict. Accredited American Sperm Banks are carefully regulated to minimize health risks to the recipient mother and the offspring. Infectious screening of the Donor, usually includes HIV I and II, HTLV I and II, Hepatitis B, Hepatitis C, Syphilis, CMV, Gonorrhea and Chlamydia. Usually, the Donor’s blood type is obtained as well. Many Sperm Banks take a careful genetic history, screen for chromosome abnormalities (karyotype) and Cystic Fibrosis status to help exclude relatively high risk Donors. The sperm is quarantined and the donor retested, prior to releasing the sperm. This is a long and expensive process for the Sperm Bank, but it protects you, the client and your future offspring. If you decide to use Banked Sperm, you can call and find out the specific testing the specific Sperm Bank performs for eligibility at their institution. Regardless of the specific choice you ultimately make, it is of paramount importance to review your choices and openly discuss your preferences, concerns and family vision with all those who will be directly partaking in the care of the resulting miracle: a child. Regardless of the specific choice you ultimately make, it is of paramount importance to review your choices with all those who will be directly partaking in the care of the resulting miracle: a child.